Measures 45" H. x 24" W.
Panel size 24" x 24"
One side is a chalkboard panel and the other, wipe-off marker board, but both sides are used for painting. The panels are a giant size 24" x 24" and adjust to 3 heights. 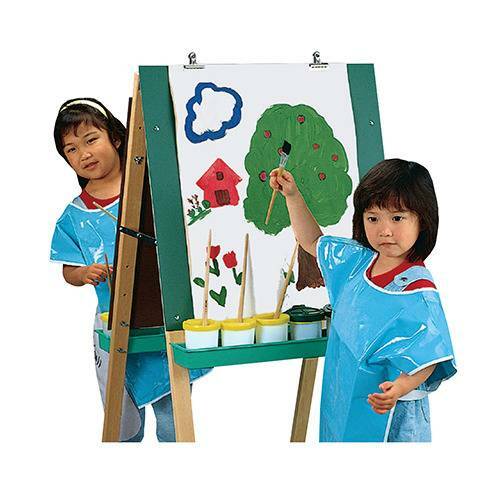 This adjustable Easel includes 2 durable, washable plastic trays and 4 easel clips. Folds flat for storage. 45" H. x 24" W. Suitable for ages 3-8 years.